Little Giant Ladders cargo hold - Model 15040-001-Cargo Hold. The Little Giant Cargo Hold lets you keep everything you need to get the job done with you where you really need it. No more climbing up and down the ladder to get a tool or a handful of nails. 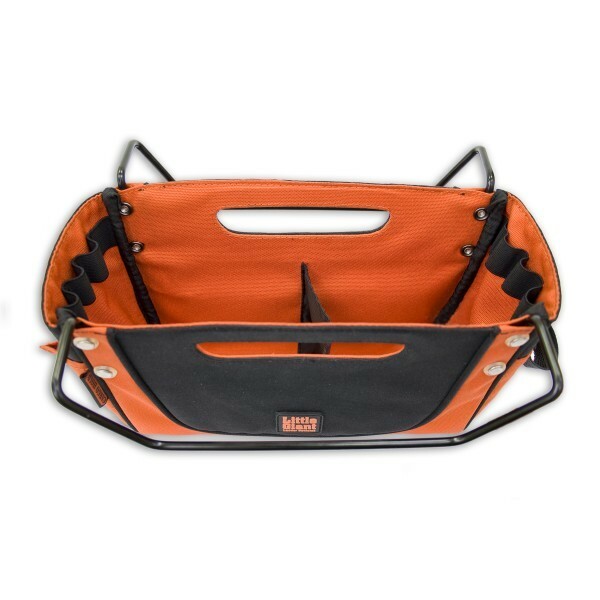 The Cargo Hold features two easy-access pouches for tools or materials, a hammer or tool sling, and several elastic tool slots. The Cargo Hold will work on any Little Giant multi-use or articulating ladder rung, and it folds and stores neatly inside any Little Giant multi-use ladder. The Cargo Hold stores conveniently between the top two rungs of your Little Giant Ladder System. And if you want to save time, make it a permanent part of your Little Giant Ladder System. No more climbing up and down the ladder to get a tool or a handful of nails. 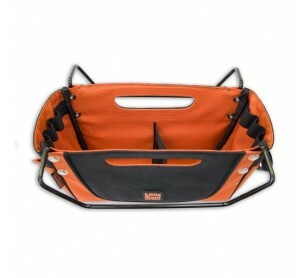 The Cargo Hold features two easy-access pouches for tools or materials, a hammer or tool sling, and several elastic tool slots. Keep your tools and loose hardware right where you need them. Increase safety and avoid unnecessary trips up and down your ladder. Save time and work safer by keeping your hands free to use your Little Giant safely.